Green advertising Written on February 27, 2009, by Ingeborg. Free samples and flyers are sooo boring. The sustainable wave has made space for more creative forms of advertising. 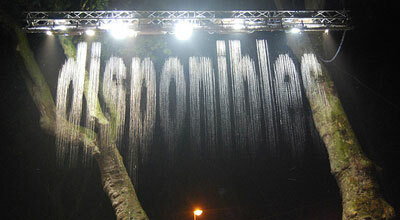 Waterblasting makes green graffiti, a cleaning cloth reverses grafitti, then there’s snow tagging, growing logo’s and falling waterdrops that spell out words. You want it even if you’re no ecoist or ecoista.